"Verify machines are sent out, waiting for feedback friends. Today is relatively free, I would say some of the X108 is the development of things. 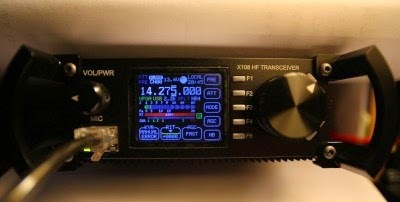 This year in March, when talking with friends X1M, both at home and abroad X1M reputation is still very good, standard indicators that can withstand the test of combat, is a very useful little machine. From our current statistical data, there are about more than 200 domestic users. During also a lot of good feedback comments and suggestions. 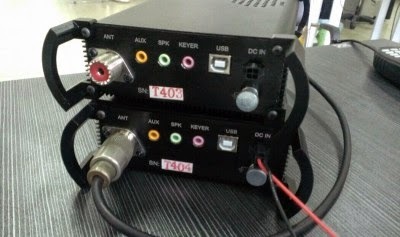 X1M design is a very simple little machine, only this, so there are a lot of problems and regret, therefore, that there was a domestic Blue and Platinum Both improved X1M, Platinum Edition software The hardware is relatively mature and stable, and it is the largest volume of a model. X1M offering so far there are more than two years, a friend on the proposal, said that a "Commemorative Edition", I also have this effect, so put this matter on the agenda. After a commemorative program improvement, only to find that, already out of the scope of a commemorative edition, a new machine, Oh, this is the X108. From mid-April to mid-June, during which a total of PCB board voted three times, each time to improve some of the problems and pitfalls, until I post published the fourth edition of PCB has also been issued to the plate and started trial production of small quantities of ready thing. In other words, the current demonstrator for the fourth edition. During this period, in order to ensure excellent overall performance, our team made ​​improvements in this salute them! In the mind of the customer is responsible, before the problem is not completely resolved, we prefer to offer machines come later, and never rush to finish the work and progress, this is our point of view, but also to the X108 is like waiting for a friend to say again a sorry ah. Currently, the verification has been done, the relevant information is collected also began corresponding improvement work has been in progress, production ready also intense, we only hope that we get the X108 is an excellent performance of the machine , is one worthy of the price of the machine, everybody is a trusted machine. As in the end how this machine, and the data on the testers to speak it "